Switching to LED just got a whole lot cheaper – How lease lighting could work for you. We all want to show our green credentials and reduce our energy bills don’t we? Well thanks to LED technology this is very possible. LED lights are exceptionally efficient, sometimes using up to 70% less power than your current incandescent or fluorescent bulbs. It’s a double win; a 70% reduction in power means a 70% reduction in your lights energy bills and a big green tick for reducing your carbon footprint. And now the technology has been around and mainstream for a few years it has become not only reliable, but also beautiful. You can choose from LED fittings that mimic their previous counterparts, to contemporary designer fittings that enhance your interior design. LED bulbs are expensive compared to the other lighting technologies; incandescent, halogen and fluorescent bulbs. The amount you save on your electricity bill from the LEDs goes some way to counterbalance the initial upfront investment needed but it is often a couple of years before the savings outweigh the cost. This has opened the door to a new concept. Lease lighting. 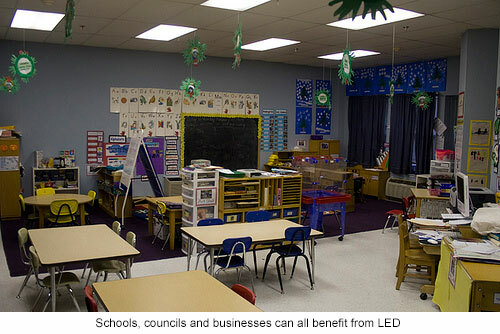 A lighting lease company can provide large organisations and businesses with an operating lease for the LEDs. The lease company cover the upfront cost of the fittings, bulbs and installation, leaving you to pay a monthly lease fee from the savings in your energy bill. If you’re a high energy user, you can save so much from your electricity bills that the savings not only pay for the lease of the new LED lights but there’s still savings left over! So could lease lighting be your route to the same results?